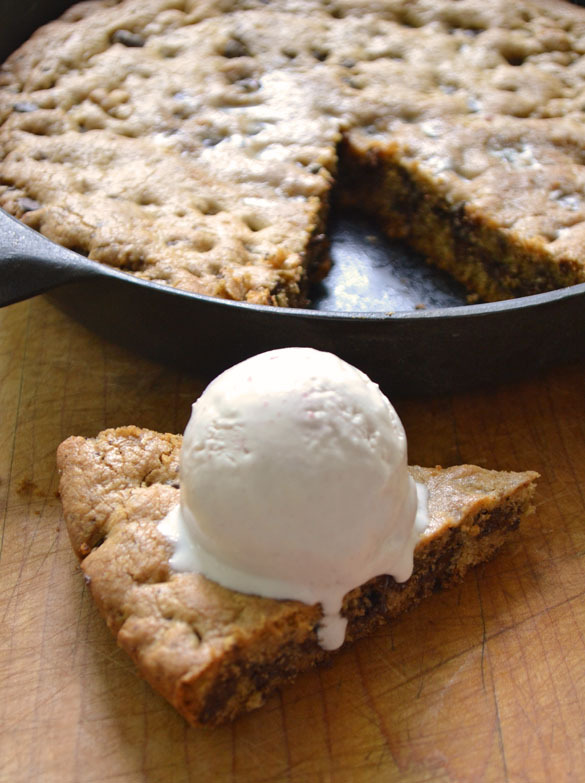 Makes: Makes 1 large or 2 smaller skillet cookies, or 1 1/2 dozen regular cookies. 2In the bowl of a food processor fitted with the blade attachment, pulse the butter and brown sugar until well blended. Add the egg and vanilla and process for a good minute, until the mixture is pale and creamy. Scrape down the sides of the bowl if you need to. 3Add the flour, baking soda and salt and pulse until almost combined; add the chocolate chips (and pecans, if you're using them) and pulse just until the dough comes together.